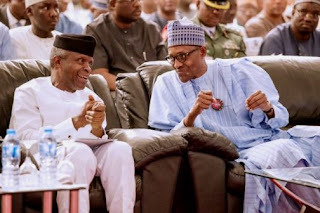 President Muhammadu Buhari on Sunday said those who felt he had died during his medical vacation in the UK in 2017, asked Vice-President Yemi Osinbajo to make them his deputy. Osinbajo took over in acting capacity when the president was away. Speaking on Sunday in Krakow, Poland, during an interactive session with the Nigerian community in the country, he said his deputy, Buhari said Osinbajo “received a lot of embarrassment”. Those against the reelection of Buhari have asked him to step down in 2019 but the president has insisted that he is fit.